Lots of major highways are closed this weekend, with some routes closed from Friday to Monday, while others are only closed for part of the weekend. 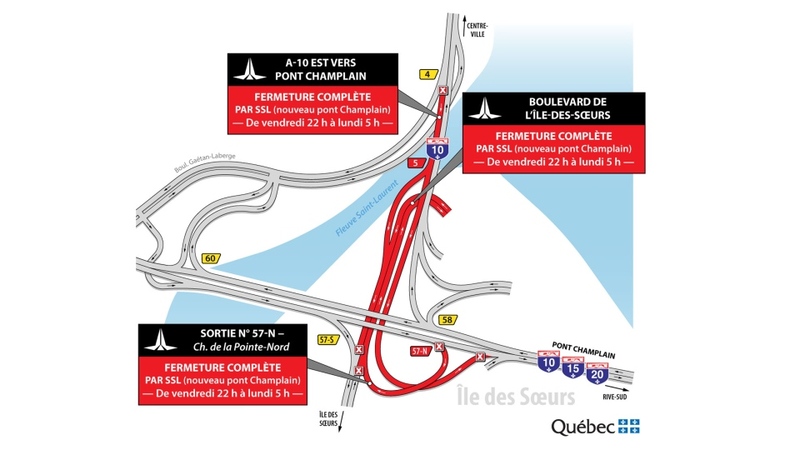 Parts of the Turcot Interchange will also be closed for months to come as of Tuesday Dec. 11. LaSalle will also be subject to multiple long-term road closures starting this weekend. Navigating the spaghetti snarl will be more complicated than usual this weeknd. All ramps connecting to Highway 20 West will be closed from midnight Friday until 5 a.m. Monday Dec. 10. Highway 20 West -- including the Pullman St. Entrance -- will be closed between the Turcot interchange and the entrance from the Mercier Bridge from midnight Friday until 5 a.m. Monday. As of midnight Friday only one lane will be open on Highway 15 North between Exit 62 (Highway 20 West) and the Sherbrooke St. Entrance. The closed lanes will reopen at 5 a.m. Monday. 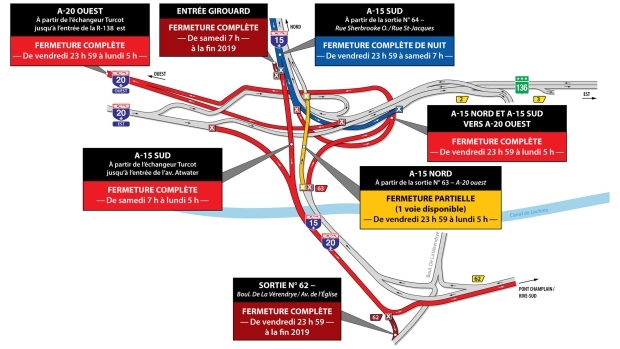 There's an overnight closure in the Turcot too: Highway 15 South/Decarie Expressway will close as of the Sherbrooke St. exit, and only the ramp to downtown will reopen at 7 a.m. Saturday. On Saturday at 7 a.m., all ramps to Highway 15 South (from Decarie Expressway and from Highway 20 East) will close until 5 a.m. Monday, with Highway 15 being open from the De La Verendrye entrance. Exit 62 for De La Verendrye closes at midnight Friday, while the Girouard St. entrance Highway 15 South will close at 7 a.m. Saturday. Highway 10 East, toward Nuns' Island, will be closed from Exit 4 as of 10 p.m. Friday Dec. 7 until 5 a.m. Monday. 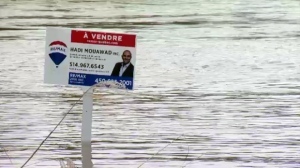 Ile des Soeurs Blvd. will also be closed at that time, as will Exit 57 N from Highway 15 South. Coming into Montreal, only one lane on the inbound Champlain Bridge will be open from11 p.m. Friday until 9 a.m. Saturday, and again from 10 p.m. Saturday until 10 a.m. Sunday. On Friday Dec. 7, only one lane on Highway 10 outbound will be open between 10 a.m. and 1 p.m.
Only one lane will be open heading toward downtown Montreal on the Bonaventure Expressway from 1 p.m. Friday until 8 a.m. Saturday. The Champlain Bridge will have traffic restrictions overnight: only one lane will be open heading toward Montreal from Friday night until Saturday morning, and again Saturday night until Sunday morning. One half of the Mercier Bridge will be closed this weekend from 10 p.m. Sunday until 5 a.m. Monday. One lane will be open in each direction on what is normally the northbound span.